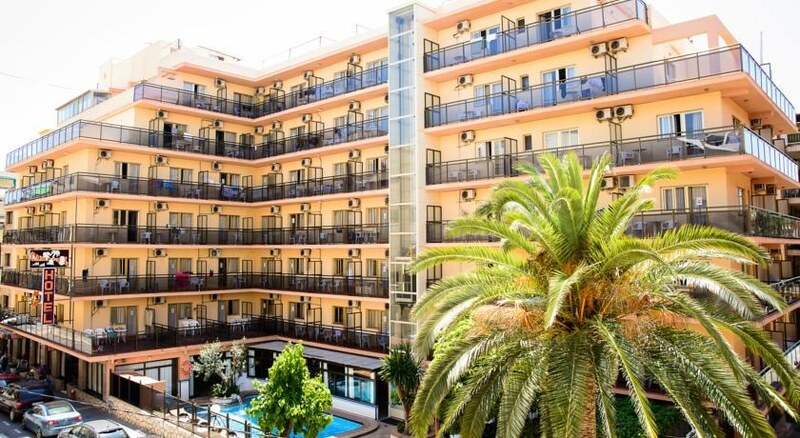 The Hotel Camposol is suited to couples and families alike who want a pleasant stay in Spain’s popular resort Benidorm, without breaking the bank. The hotel does not accept stag/hen parties or group bookings. 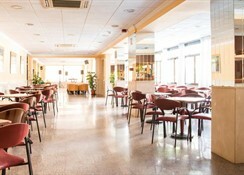 Hotel Camposol provides on-site facilities and amenities such as an outdoor swimming pool and a games room to entertain guests, and is only a short walk (400 yards) from the nearest sandy beach, Playa Poniente, and the main town centre, ensuring guests can reach the centre and its tourist attractions easily. The hotel has 130 guest rooms available over six floors, each of which offer a comfortable stay and come fitted with basic amenities. The reception desk is open 24/7. The nearest beach Playa Poniente is just a 4-minute walk away from the Hotel Camposol and there is lots to see and do in the area. This includes attractions such as the Aqualandia Water Park (2.1 miles), Terra Mitica Theme Park (2.1 miles), Las Rejas Golf Course (1 mile) and the Plaza Mayor Square is just 200 yards away. The Alicante International Airport is 29 miles from the property. The Hotel Camposol has 130 guest rooms in total, suited to solo travellers, couples and families alike. There is a selection of Single Rooms that are available for those on holiday by themselves, or you can choose to stay in a Double or Twin Room which will feature either a double bed or two single beds. 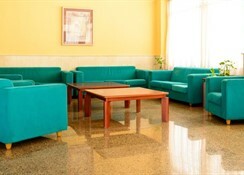 All of the rooms at this hotel have air conditioning, simple furnishings, TV as well as a balcony or terrace. You will find a buffet-style restaurant on-site at the Hotel Camposol which has both international and local foods available. 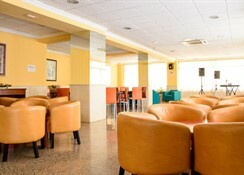 There is also an on-site bar to enjoy refreshments throughout the day and evening. Since the hotel is located close to the main tourist attractions of Benidorm, guests here are only ever a short walk away from a plethora of bars, restaurants and cafes if they want to explore outside of the hotel. Plus, there is a market just a few hundred yards away from the property for those wanting to shop. The Hotel Camposol has an outdoor swimming pool in addition to sun loungers and a games room, plus you can enjoy complimentary Wi-Fi in the common areas of the hotel too. Staying here means that you aren’t far away from the beach too, which has a range of activities on offer for sun-seekers. Also, those adventurous travellers can try out the nearby water parks and theme parks in the area, sure to make a splash! The Las Rejas Golf Course (1 mile) and Villaitana Golf Course (2.7 miles) are both accessible for any avid golfers while the bustling centre of Benidorm is nearby to the hotel.